Writing a good Cover Letter is like putting the icing on a cake. It will make you stand out. The meat of it all is below the surface, but you have to present the cake in a way that pleases the audience otherwise you shouldn’t bother at all. 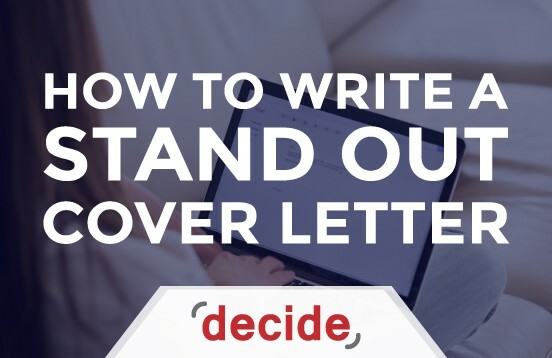 A stand out Cover Letter tells the employer a little more than the technical information that is listed in your Resume. It gives the employer a better look into your thinking process, your psyche and what you want to achieve in the company you’re applying to. This is why it’s important to come across as someone who is interested, more than someone who just wants a job. Showing enthusiasm for the job by demonstrating a deeper than surface level knowledge about the company or demonstrating skills and thinking patterns that are in line with the company’s philosophy can help make your case stronger than others. Every job is different and requires different skills, so don’t make the classic ‘one size fits all’ mistake. You may need cover letter formats for each position. Understand that applying for an HR manager position at a pharmaceutical firm is very different to applying for a Marketing Head position at an Advertising Firm. Different companies require different approaches. You wouldn’t go on talking about the price of oil with a cinematographer would you? Also adopt different tones for different companies. If you’re writing a letter to a big conglomerate or an accounting firm, be sure to keep it formal. However, if you’re applying to a photography studio or a media company or a Newspaper, be sure to exhibit some wit and humor (all in good taste, of course). 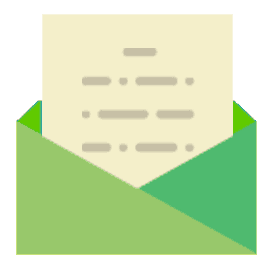 It’s fine to keep a standard template for each Cove Letter, however don’t rely too much on standardization, since that standard changes over time. What works now, may not work even 2 or 3 years down the line. Proofreading and having a good cover letter format is important especially if you’re entering the job market. People have all sorts of preconceived notions about what an employer is looking for. And those notions almost always turn out to be wrong. The climate of the work environment changes rapidly and workplace philosophies don’t always appear to be what they are. So having your Cover Letter be proofread by a professional, an academic, or someone who has served in the industry you are applying to in the past is a great idea. They will know better than anyone, how to address an employer, what to emphasize, and what to edit out. They will have come across quite a few CVs and employees and new recruits in their life so they will be a shining light in the darkness when it comes to Cover Letters. It’s very important for the employer to be seen as someone you want to get to know. If you address them in a cold, impersonal tone, you may risk alienating them. They come across hundreds of CVs everyday and flip through so many Cover Letters that when they find something that comes across as real or sincere, they at least pause. And when they pause, it means they’re interested. If you address them in a personal way and make them understand that you care about the position being offered, they will take an interest in you. More than skills and grades and certificates, what matters are a willingness to improve oneself and take an interest in the company. Employers jump at recruits that are willing to go the extra mile, and what better way to show that than personally addressing the employer. Don’t be humble. Being humble is a relic of the Middle Ages. It’s conventional wisdom to be modest and appear as a levelheaded, humble human being. However, this costs people more than they know. They miss out on a chance to talk about their accomplishments, and then they hang their heads below their shoulders, cursing the employer for turning down a ‘star candidate’. This is entirely counterintuitive. How could the employer have known about your prowess or expertise if you refused to show it in your Cover Letter? Know this: employers are tired of seeing mediocre candidate after mediocre candidate. They aren’t waiting to be underwhelmed by someone’s humility, but to be dazzled by one person’s brilliance. So brag about your talent and your achievements in your Cover Letter all you like. Just make it pertinent to the job title. Companies like candidates who have done their research. They know most candidates simply gloss over the website and glance at the mission statement or the About Section. Very few candidates take the time to read about the company’s philosophy and learn about its history. Fewer still look for headlines and defining moments in the company’s history. And perhaps a handful of people take the time to speculate about its future based on current events. It’s your job to be one of those candidates. Find out obscure facts about the company and dot your Cover Letter with examples to show them that you truly care about the position. Try to also frame your thoughts in line with the company’s philosophy. If they have a strong philanthropic or environmental commitment, come across as a caring and responsible individual. If they have a no-nonsense, cutthroat attitude, express an interest in being a warrior and obliterating the competition. It’s vital that you don’t destroy the goodwill that you cultivate in your Cover Letter by making a few crucial and clichéd mistakes. This includes getting company or employer names wrong, restating all the information in your Resume, lengthening your Cover Letter, talking about your weaknesses, and sounding cocky and arrogant instead of confident and eager. Spelling mistakes and bad grammar can also ruin an impression. Finding a comma out of place or a common noun capitalized is a pet peeve for some. Be sure not to make any of these mistakes and you may be golden.